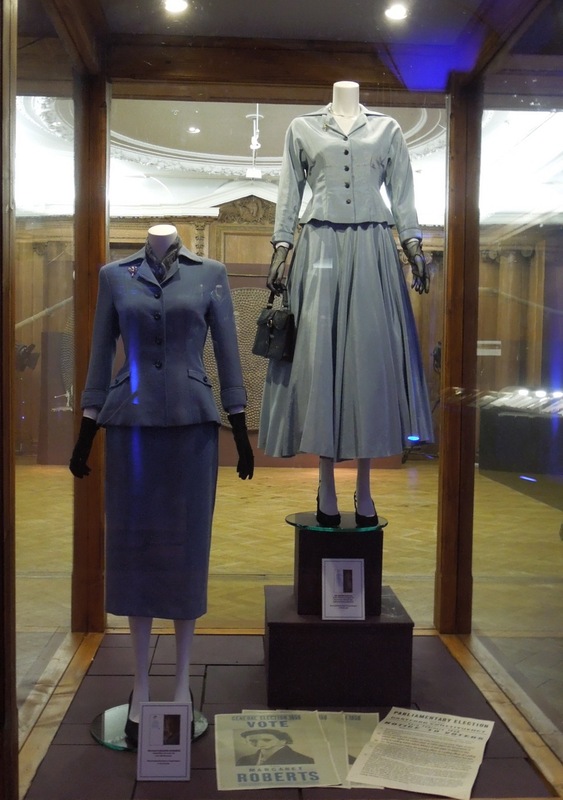 With all the excitement surrounding the London 2012 Olympics, I thought it only proper to have some right British costumes on display. 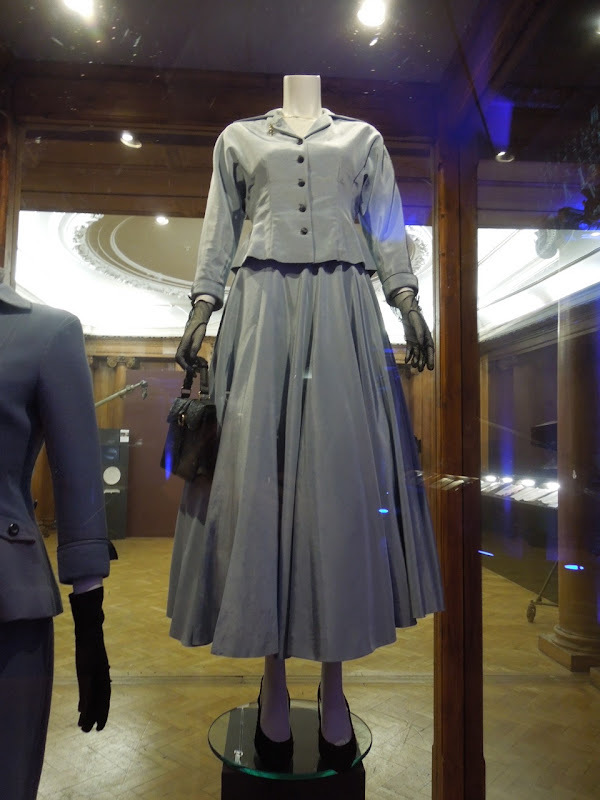 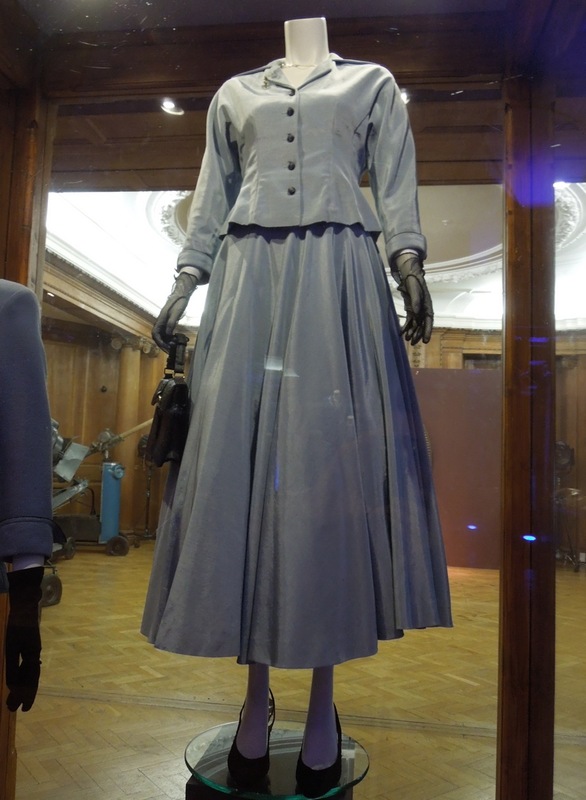 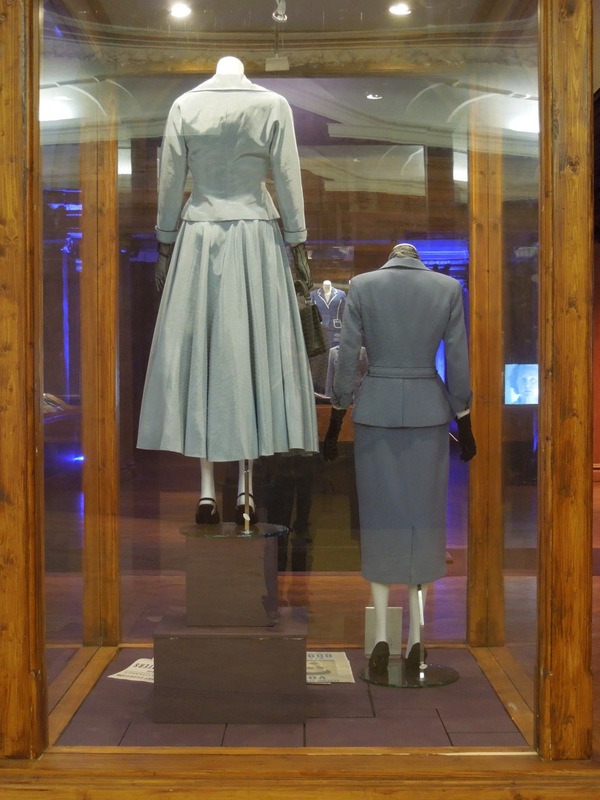 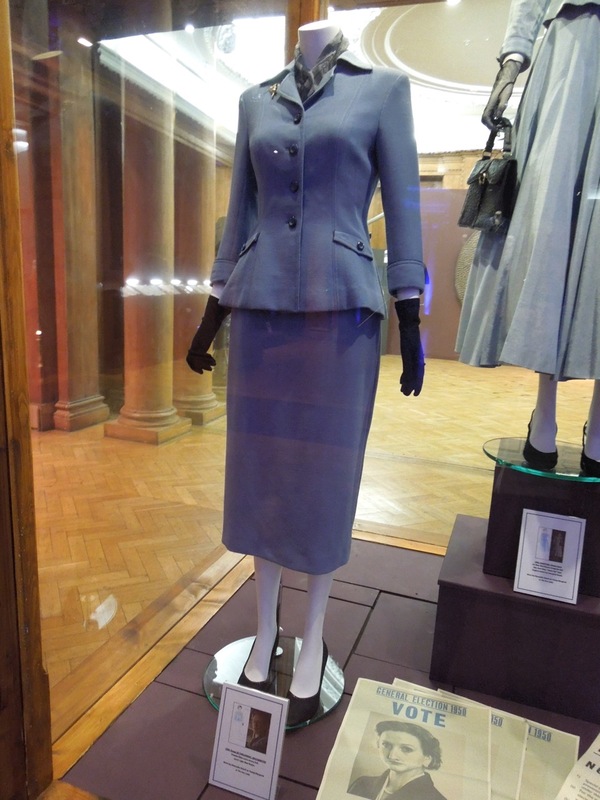 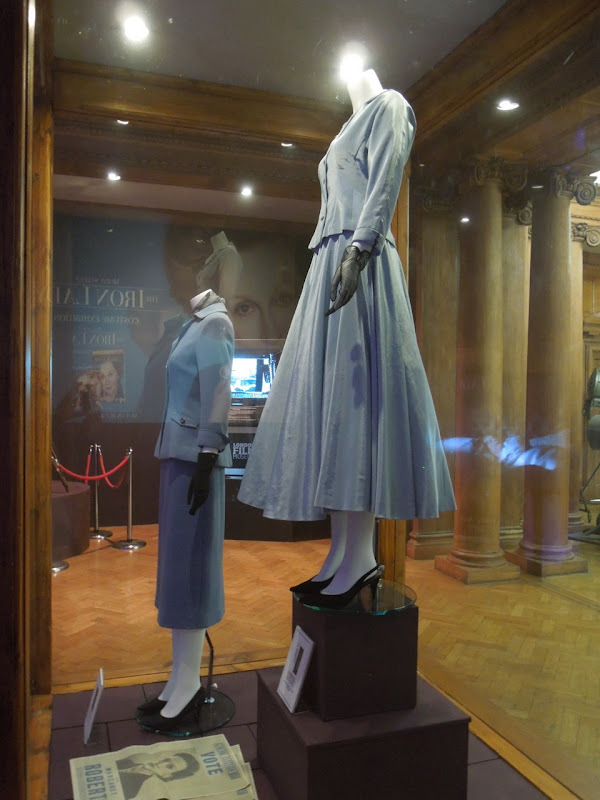 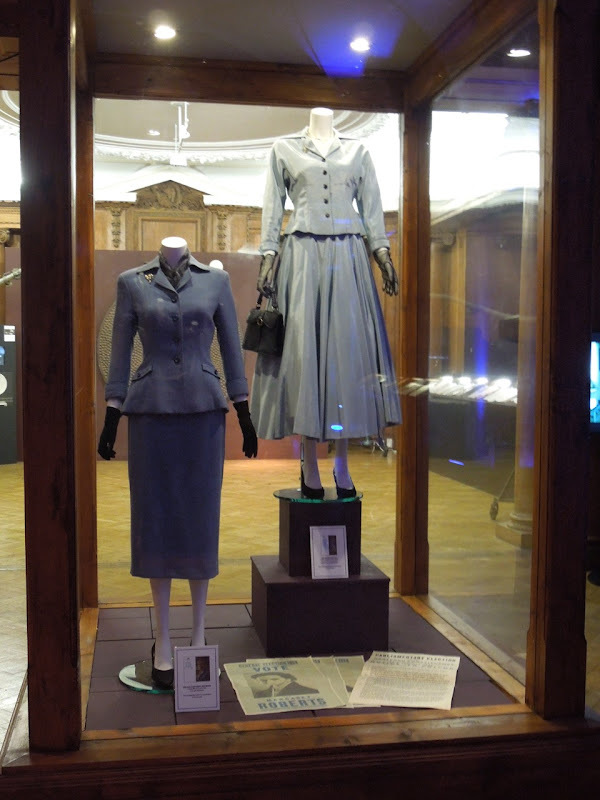 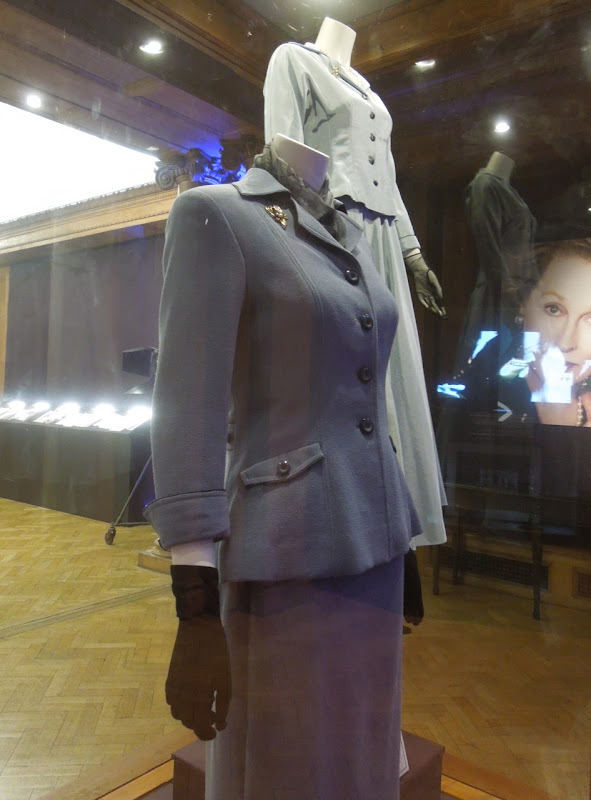 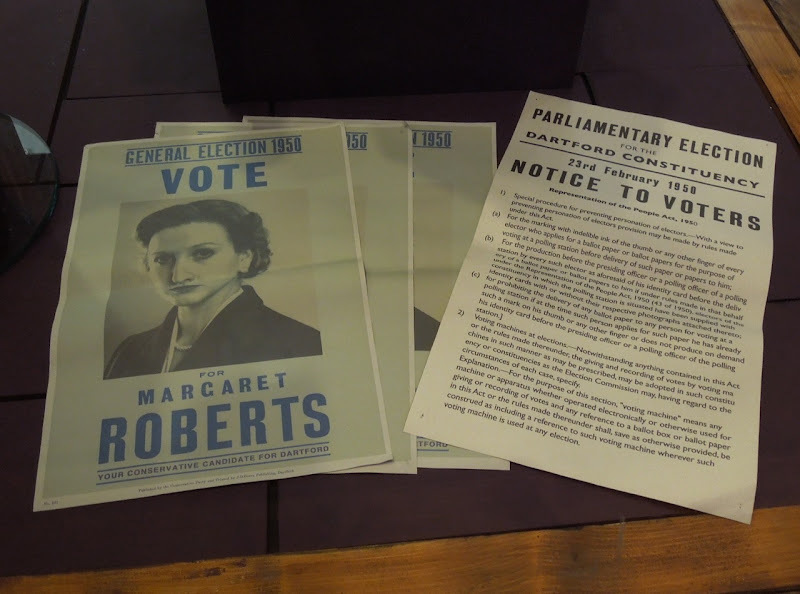 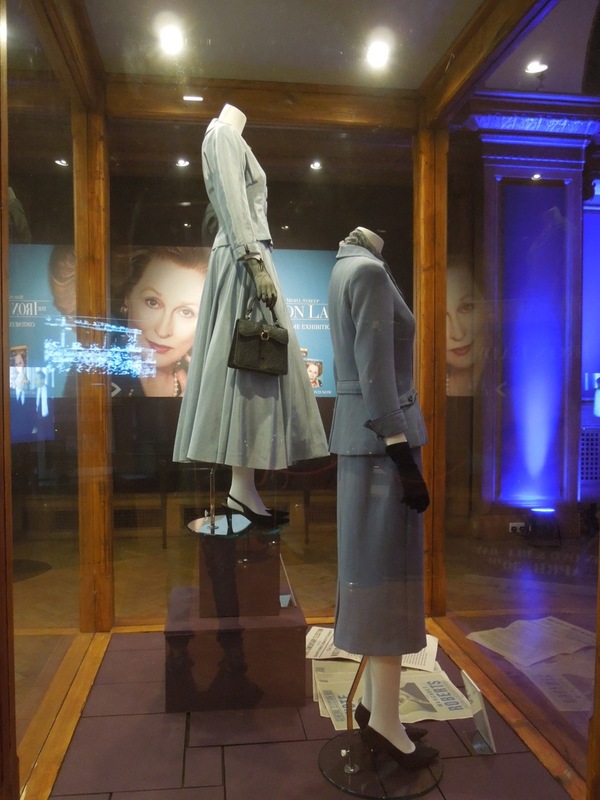 Here's two of the original costumes worn by the 'Young Margaret' played by Alexandra Roach in the 2011 biopic of infamous female British Prime Minister and leader of the Conservative Party, 'Margaret Thatcher' in The Iron Lady. 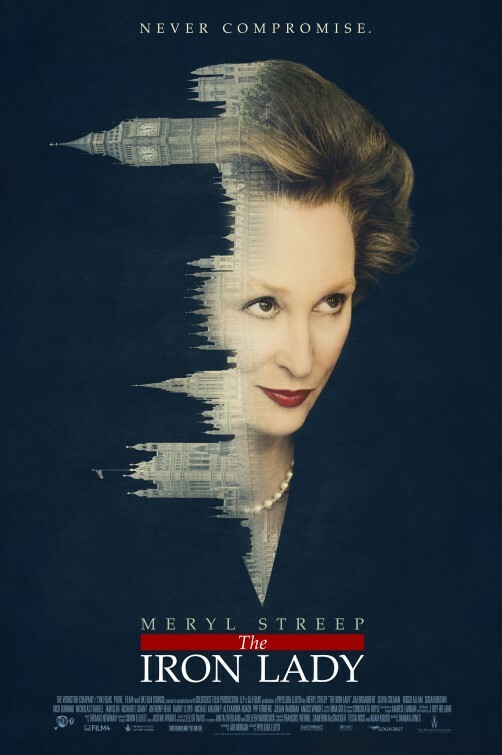 Whilst Meryl Streep may have won an Oscar for her portrayal of an older and aging Margaret Thatcher, Alexandra Roach gave an equally impressive performance as a young, unmarried 'Margaret Roberts' at the start of her early political career. 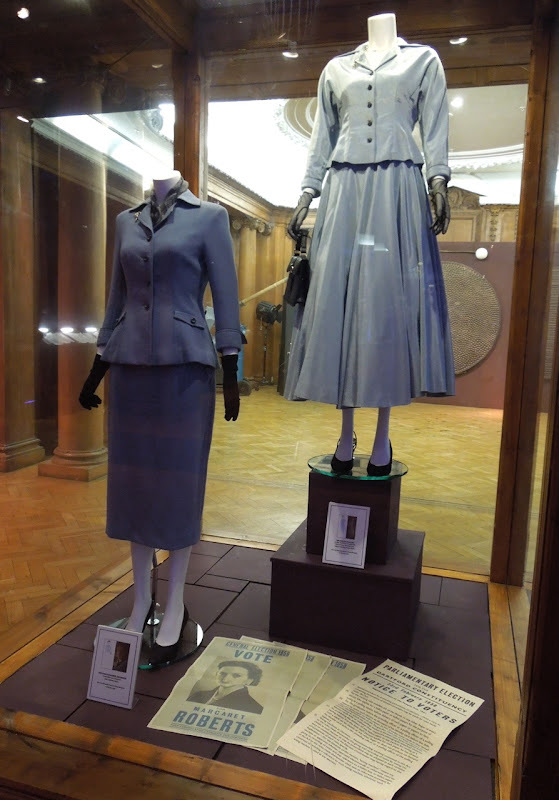 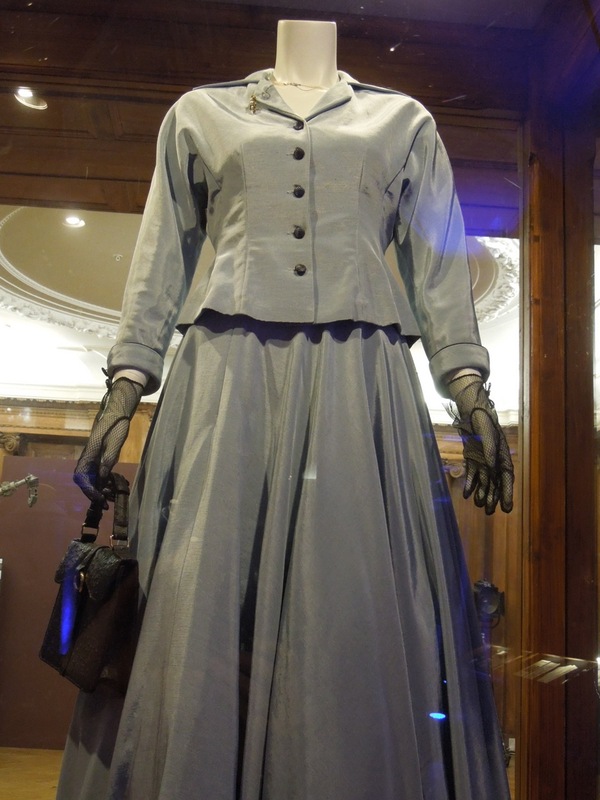 These very businesslike outfits were designed by Consolota Boyle, whose work can also be seen in The Queen and Angela's Ashes amongst many other movies. 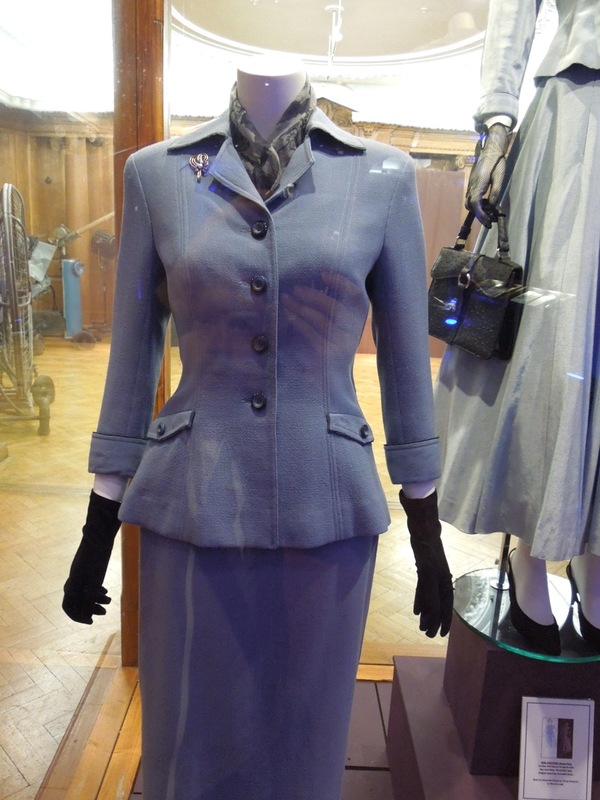 Be sure to stay tuned in the days to come for more fantastic costumes from The Iron Lady worn by Meryl Streep.